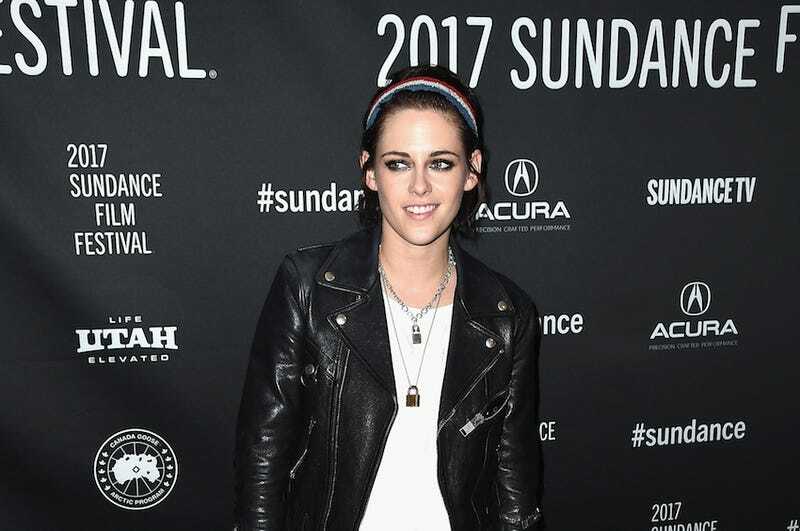 In an interview with the Sunday Times, Kristen Stewart gets a little real about Robert Pattinson, her sexuality and her occasionally-tetchy relationship with the paparazzi. The media frenzy that swirled about Stewart’s relationship with Pattinson was difficult to weather for her, and understandably so. Being in a relationship is hard enough, but being in a relationship with a man you met on the set of a movie that has its very own slavering fanbase is probably a little harder. “I wasn’t hiding anything,” she told the Times. Like anyone else, Stewart wanted to keep her relationship with Pattinson private, but the nature of fame wouldn’t allow her to do so. “When I was dating Rob, the public were the enemy — and that is no way to live,” she said. Fair point. And, because her sexuality has been a topic of conversation for so long —she’s currently dating Stella Maxwell, but has dated other women in the past — we must analyze her decision to declare that she’s “like, so gay, dude” on Saturday Night Live in February. Of her decision to come out publicly, she said “It just seemed important, and topical.” That’s a good reason! That’s fine. Now let’s let her live her life in peace. “You and Gwen seem to have this incredible connection, almost like a girl crush,” blathered Carson Daly to Alicia Keys on The Today Show, during an appearance promoting this season of The Voice. “We love each other more than Gwen and Blake love each other,” she laughed. I know this is a joke (I think?) but having seen the first few episodes of this season, I think Alicia might be onto something.